Guests visiting Secrets Royal Beach Punta Cana in the Dominican Republic will experience Unlimited-Luxury® at it’s best. Beyond the gorgeous landscape of the pristine beach, the gorgeous and colorful Caribbean environment, the gourmet dining and the world-class spa, you should spend some time at a local attraction that will immerse you into the culture of the island. 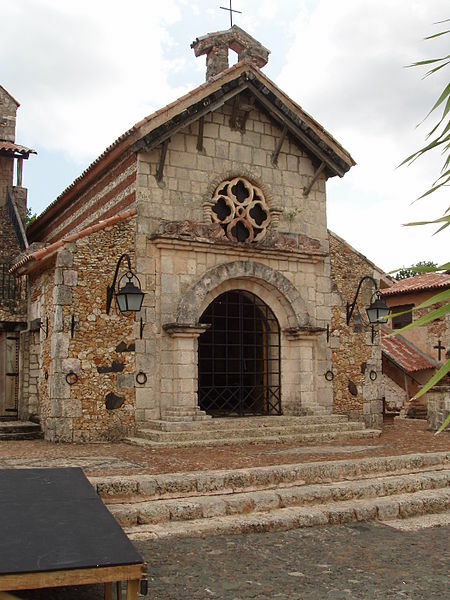 Today, we are featuring a great point of interest for a day trip to Altos de Chavón. Contact your concierge today to help plan your excursion! Altos de Chavón is a fascinating re-creation of a medieval European town, made hundreds of years after actual medieval times. The idea for the town originally came about when the construction of a nearby road and bridge required a path to be forged out of a mountain of stone. Charles Bludhorn, the man credited with the birth of the Dominican Republic’s tourism industry, came up with the idea to put the removed stone to good use in the creation of a 16th century Mediterranean town, which would eventually become Altos de Chavón when construction was completed in the early 1980s. The town, designed by Paramount Pictures set designer Roberto Copa in 1976, sits high on the cliffs overlooking the Chavón River in La Romana. Today, the town’s cobblestone streets weave between little shops, boutiques, art galleries, restaurants and bars, a museum, St. Stanislaus Church, an amphitheater and even a design school. The town is a cultural center for Dominican people and is very popular among working artists. 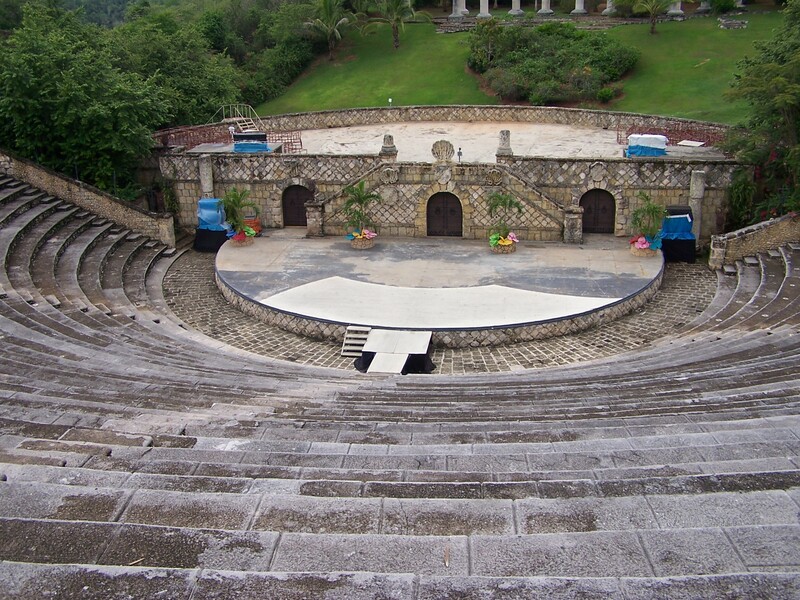 The Altos de Chavón design school is affiliated with New York City’s prestigious Parson’s The New School for Design, and the 5,000-seat Roman-style amphitheater hosts top musical acts, like Duran Duran, and was even the location of Alicia Keys’ “Karma” video! St. Stanislaus Church holds weekly masses and hosts many weddings for couples from all over the world. Altos de Chavón is a must-see destination during your stay at Secrets Royal Beach! This entry was posted in Secrets Resorts & Spas, Secrets Royal Beach and tagged Activities, Altos de Chavon, Destination Information, experiences, points of interest, Secrets Royal Beach, things to do Punta Cana, Unlimited-Luxury. Bookmark the permalink. ← Secrets Maroma Beach Riviera Cancun Earns Prestigious AAA Five Diamond Award! Looking forward to my vacation in June, looks amazing!